We’re here to save you from last-minute desperation with a list of accessories and gadgets for all budgets that any cannabiseur will be delighted to receive. Santa had a bundle of toys he had flung on his back, and he spoke not a word, but went straight to his work, and filled all the stockings, then turned with a jerk. So here is our Christmas Gift Guide and you can fill all the stockings of your weed-loving or weed-growing friends and family. And no one will think you are a jerk! 2 The Perfect Christmas Gift Idea for the Stoners on Your List. We all love receiving presents, but buying them can be tricky. It’s one thing to be a good stoner and believe in peace, love and happiness, but, Christmas shopping can be Hell! Trudging through crowds of Holiday shoppers, hoping maybe something will just catch your eye, slowly losing the will to live… It’s enough to make you want to light up. But first you still gotta find the ideal stoner gifts for the weed smokers in your life. Sure, your wife might say she doesn’t need anything, but we all know what will happen if you DON’T get her anything. Then there are your friends, your business associates, parents, in-laws, and well, the list keeps getting longer and longer. Do you have business friends who love their ganja as much as you do? Of course you do. Sure, you could ask them what they want, and if you’re lucky they will tell you what to get, but then that kinda takes the fun out of it, doesn’t it? Truth is, gift giving takes some consideration, and you don’t want to resort to buying the supposedly latest and greatest Gadget at 3 bucks from the nearest Box Store on Black Friday or Christmas Eve; not for your stoner friends and family. Thankfully you don’t have to. We’ve got you covered. With the perfect Christmas gift ideas and a guide to gift giving. The Perfect Christmas Gift Idea for the Stoners on Your List. It doesn’t matter if they are naughty or nice (or maybe it does, a little.) . 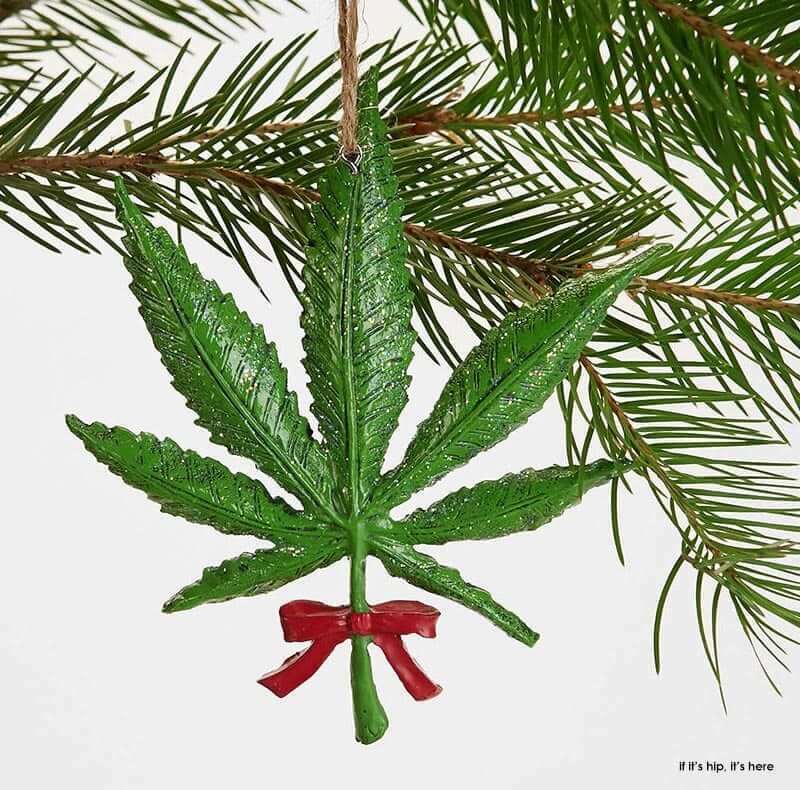 To help you out a bit, we’ve reviewed some of the greatest and latest Christmas gift ideas for the weed lover, marijuana grower, medical marijuana user or head shop aficionado. 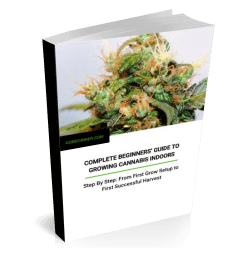 Before we get to the review list let’s go over a few handy tips on how to find just the right Christmas gifts for your weed loving friend or family member. You take the trouble of figuring out what to get, you buy it, have it shipped. You can’t just hand over the Amazon box, for Pete’s sake.. No, you need to get creative and make sure to wrap it up in a way that the receiver will feel excited. This event is important and it reflects a little of Who You Are too, so you want to make sure that they enjoy the whole experience. In other words, don’t just give them a gift wrapped in regular Christmas wrapping paper. Make it more fun with something like this Marijuana Gift Wrapping Paper. Wrap your gift in something that identifies you as the gift giver. If everyone knows you as the guy who loves weed, then what could be better than gift wrapping paper in a marijuana motif. Presumably, if you are reading this, the recipient of your Christmas gift likes weed as much as you do, so maybe you can make the gift something you can both share once in a while. This makes your gift special and fun and lots of giggles. Make a list of all the people you need to buy for this Christmas, and take note of each person’s interests, what weed accessories he/she has, and which are missing. If you still aren’t sure, do some stalking. Many people have a wish list somewhere, sometimes on Amazon, and will be delighted if you find something that they like and want, even if they haven’t asked. Whether you smoke, vape or ingest you weed is not the point. The person you are giving the gift to is a weed aficionado, so you want to make the gift something he or she will enjoy. You also want to add a little bit of yourself into the gift. So personalize the gift—whether it’s an interesting card, a poem, or a little bit of personal art. Think something along the lines of these marijuana gift cards. Finally, having said all of that, there is one last, most important thing to remember when we are talking about gift giving. Be generous—it’s about them. Find something that your friends are passionate about and then give it to them. OK, so after all that, are you still confused? Still don’t know what to get your bud loving peeps for Christmas? Here’s our Top Christmas gift ideas for the weed lovers in your circle. Any one of these wonderful products will make their Christmas Day. Does your weed loving friend have the perfect grinder? Yes, we know that she probably uses one of those cheap grinders. But does she have a really good grinder that she can take with her anywhere? The Evergreen 4 piece Herb Grinder could be the perfect option. This product is made from aircraft grade aluminum and cut on specialized CNC machines. This will be a grinder that lasts forever, and one your friend can be proud to carry. This multipurpose beauty has a high-tech design that minimizes friction for a smooth grind. It’s Perfect for herbs, tobacco, weed, marijuana, cannabis, and spices. Powerful neodymium magnets ensure secure lid closure. There is a screen that allows the pollen to fall through and best of all, it has a lifetime warranty. We love the design and finish on this grinder. It’s super well designed and offers a very smooth feel. The 2 ½ inch blades do a great job of cutting the weed to whatever coarseness the user wants. Hey! Look here. This is a one-stop gift. It is the largest stash box around and has a whopping 7 pieces. OK, so this is ideal for the friend who believes in everything organic. It is a large unfinished pine wood box with a cool slide off top. Moreover, users can make the top into a rolling tray. It is all natural, so the owner can either personalize it as he wishes or keep it tree-like. If you want to give the gift of a good, clean smoke this Christmas, and add in all the stuff someone needs to take their weed hobby with them, then this is the perfect stoner gift. The Vivape desktop unit is well worth its price because it is beloved by stoners. The vapor offers outstanding flavor because it balloons out the vape to cool it to room temperature, which makes the flavor more intense and easier to consume. This is a great Christmas gift with all the finest features: touch screen temperature settings, durable ceramic heating element, delivery through bag or wand, glass vaporizing technology. Works silently so you can vape in peace. The Vivape has a user-friendly design with glass on glass heating element. The glass elements do not cause an intermingling taste with any of the other elements. There is very little assembly required which makes it nice for those people who don’t like to put things together. The base passes through a silicone bubble that cools it before you vape; and it happens whether you vape in whipped mode or bag mode. Cannabis has been a part of human lives for thousands of years. People have used it recreationally, medically and religiously since the age of the ancient Greeks. So why not offer your weed loving friend something to remember the importance cannabis has had to humanity for so long. This THC necklace features of pendant that looks like the molecule. It is 2 inches wide and made of beautiful sterling silver attached to a 16- 18 inch sterling silver chain. The pendant and chain come in a recycled paper gift box. It is a beautiful gift made for any weed lover and it makes a subtle statement that every woman (or man) will love. It is a piece made by scientist turned artist Raven Hannah, PhD. known for her THC artwork. As weed users become more aware of the dangers associated with smoke in the lungs, they have started looking for alternative ways to enjoy the benefits of their weed without taking in the harsh chemicals of smoke; one such method is called dabbing. This is the inhalation of the vapor made by heating of the marijuana. So why not give your friend a cool dab rig for Christmas? These products are gorgeous, and the glass is thick and robust. There’s nothing like watching the weed and water boil for the dabber in a clear glass rig. Thick, clear/black glass, plenty of perks to filter and only 10″ tall. Got a friend who’s a little bit flash? A gold-standard joint roller? Or maybe they’re just worth it. Either way this gold rolling papers gift box would be right on the money. As well as edible certified 24K gold rolling papers, your friend will also get a Shine brand lighter, a pre-rolled cone in a protective container and 2 Shine stickers. And there’s even a Shine greeting card included to complete your Christmas gift package. This is the stoner gift for the home decorator in your life, whether it is your mother, aunt, sister, brother, boyfriend or whatever. It is a beautiful hand stamped metal ball ashtray; perfect for the weed smoker’s living room. It adds that classy accessory to any coffee table. This classy ashtray is made of a durable Alloy with colored hand stamped patterns, has a bohemian design and measures 10.7in x10.5in. This ashtray opens easily, simply by pushing the lid up. The closed design helps eliminate weed odors and keeps prying eyes from looking over. OK. There is no real weed smoking benefit here. It’s not a nail or a vaper, but it is gorgeous and your smoking friends will love to have it in on the table while they roll their best buds. This is the elite of the high-end grinders. Like all Phoenicians, it is made of quality aircraft grade aluminum, but this model is plated in 24k gold. If you are looking to be very generous, and want to give the stoner gift that will never be forgotten, then the Phoenician Elite Grinder is the Christmas present of all time. This is the grinder that no one will return to the store, give away or give back. The Phoenician Elite is a 24K gold plated grinder that is sure to impress anyone and everyone. It has a fabulous design with an exterior lobe gripping design that allows for multiple grip options. 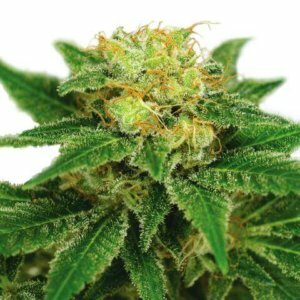 The proprietary Fast Lock System keeps weed as potent as possible. The screens are changeable and the top has an ashtray and a holder for rolling papers (It comes with two sizes of rolling paper, too.) It has the coolest look around and a wonderful feel. Take a look—it’s the grinder of your dreams. This is the stashcase for the responsible adult stoner, because it keeps your weed locked away, safe, from the kids or other intruders. It is particularly important for weed lovers who are in-the-closet about their personal tastes, even if they do live in a legal state. Check our clickable infographic for the laws in your state or country. This stashbag comes in two styles: beige hemp and black nylon. It has a 3 digit programmable combination lock and a charging port, dividers for all your accessories, an odor absorbing packet with bamboo charcoal and storage jars with relabeling pen. These durable stashbags are great security for you and your stash. If you are looking for hookah options as a gift then this is it. The Black Widow Hookah is a work of art. It has a modern design with a wide base and a stainless steel shaft. Like we said, ultra-modern–black with stainless steel accents. The Black Widow is ideal when you want to give the gift of a beautiful Hookah. It comes with a great travel case, a 25-inch Hookah Shisha Nargila hose and 2 charcoal screens, so you and your friends can share the experience. Smoke on the go with a travel ready water pipe. It’s made of medical grade silicone so you can fold it up and put it in your pocket. Weed has a distinctive essence that careful stoners want to hide. This massive candle turns the scent of cannabis into an innocent waxy smell. A classic Zippo lighter with a special imprint just for cannabis lovers. Fix the munchies and dry mouth all at the same time with these tasty treats. They are free of sugar, gluten, and fat. And they are Kosher if you are stuck for a Hanukkah gift idea. Watertight and odor-proof, these tubes keep blunts fresh. They also have child-safe squeeze-tops. This premium grinder is made from aircraft-grade aluminum so it’s light and tough. It comes with three pollen shovels and a lifetime warranty. Exhale through this little air filter to keep smoke and smell under wraps. Fits in a pocket so it goes anywhere it’s needed. You have to roll it before you smoke it. This rolling tray and paper bundle is an Amazon Choice with 4.5 stars. The (high)times they are a-changin’. Keep up to date on what’s hot in the world of cannabis culture. Made from a comfy cotton blend for men or women, these are great for lounging around the bong. We be jammin’ in this 100% cotton t-shirt from Trenz Shirt Company. Get high in comfort. This super soft pullover hoodie with a big hand-warmer pocket has a psychedelic ganja leaf print right on the front. Choose one of several different colors. This eleven-inch tall traditional hookah is a best-seller. The stylish glass bong comes complete with hose, pipe, ashtray, bowl, and tongs. If you want to share in the fun, check out these hookahs for two. Give your friend this and (hint, hint) they will have share some of their finest weed with you. Give your favorite cook a new skill—cooking with cannabis. This critically-acclaimed book has 200 pages of lavishly illustrated recipes for making all sorts of culinary delights with weed. Relax with a double-feature DVD of Cheech and Chong’s hilarious adventures. The Disco Biscuits make trance fusion music for a buzzed-out good time. The Twisty Gold glass blunt is gorgeous. It makes a perfect stoner gift. This Blunt is made with the finest of materials and is super easy to use, allowing for fresh hits any time of the day or night. The Twisty Gold technology is interesting as it has a cool pull technology where the screw cools down the harmful heat giving the augur time to absorb the excess heat to give a 30% cooler hit. So there you have it–our best Christmas gift ideas for the weed lovers in your life. Just remember the three things to keep in mind when choosing a Christmas gift (or a gift at any other time for that matter.) Be generous, get some insight into the wants and desires of the gift recipient, offer that WOW feeling (you know the feeling where someone will never forget your gift). And last but not least, be sure to make the act an event by wrapping up your gift in an interesting, personal way. And if you haven’t found anything in the Christmas gift ideas above, check out more ideas on our companion site BigBudsGuide.com.